ILLUMENG Water Resistant LED Flexible wire for Shoes and Clothing 5M is found online in Pakistan in reasonable price. It is so flexible that you can mould it into any shape or any length according to your need. It has 3 amazing slow and fast blinking mode which knick knack your party amazingly. ILLUMENG Water Resistant LED Flexible wire for Shoes and Clothing 5M is 2.3 mm in diameter and it is found in Amazon imported products in Pakistan through Online Shopping in Pakistan. 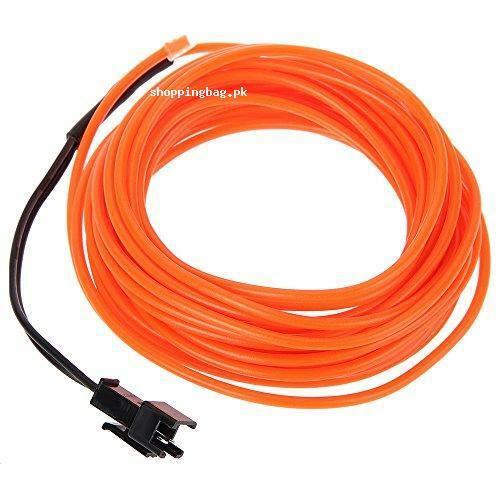 Place your order now for Water Resistant LED Flexible wire for Shoes and Clothing 5M and enjoy Amazon online shopping in Pakistan now.